Andrew Aurich ’06 has succeeded in every role he has held as a member of the Princeton football program, and head coach Bob Surace believes he will continue to do so as his responsibilities increase. 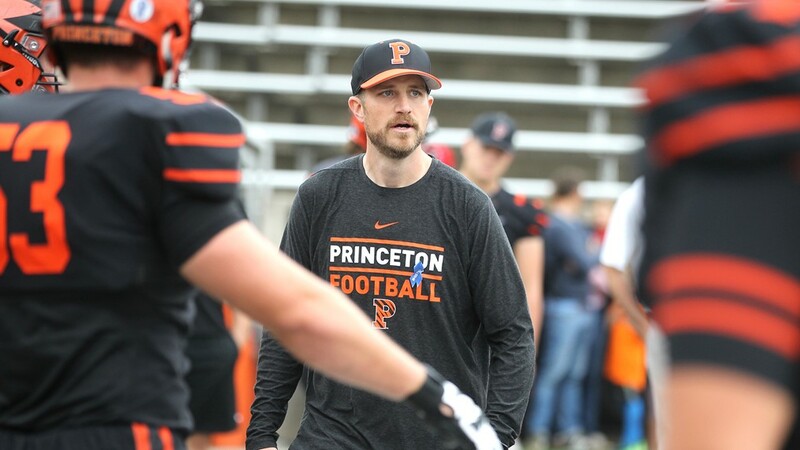 Aurich, a member of the offensive staff in each of the Tigers’ last three Ivy League championship seasons, has been named the Princeton offensive coordinator following the departure of Sean Gleeson, who accepted the same position at Oklahoma State. Aurich, who was named the associate head coach prior to the 2017 season, will continue to coach the offensive line, a group he has guided to nine All-Ivy League honors over the last three seasons. Aurich took over the offensive line prior to the 2016 season, and he helped guide Princeton to an unprecedented three-year run. In 2016, he helped Princeton win the Ivy League title and produce the league’s leading scoring (34.6), total (415.5), and rushing (183.2) units. In 2017, Princeton produced a record-setting offense which ranked second in the FCS in total passing, and fourth in both total offense and scoring marks. For the second straight season, he helped produce three All-Ivy League offensive linemen, including two-time first-team All-Ivy honoree Mitchell Sweigart, the first Princetonian to achieve that since NFL lineman Dennis Norman ’01. Last year, Princeton tasted perfection. 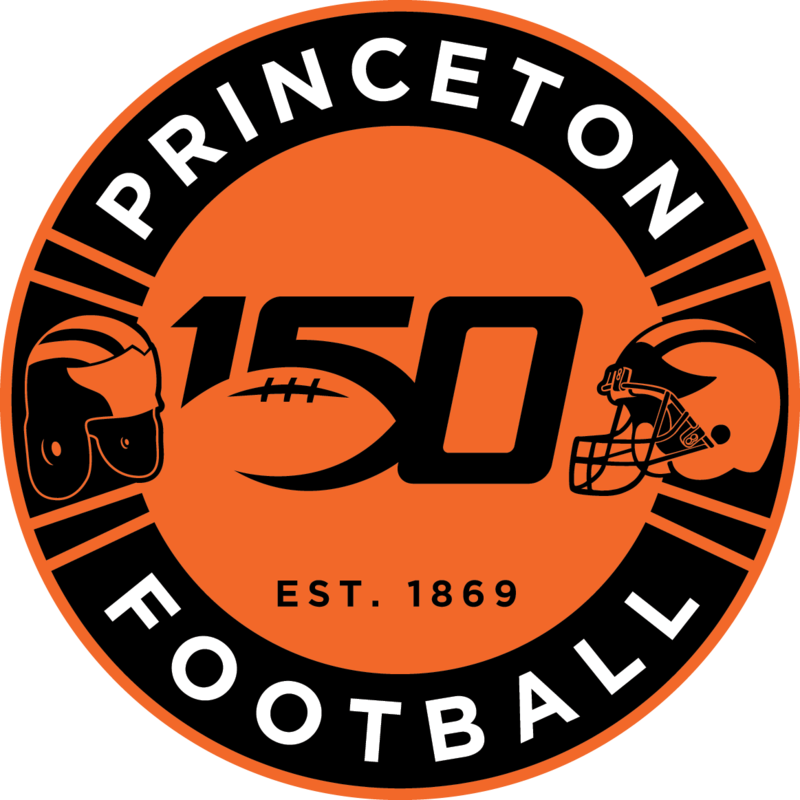 The Tigers posted their first perfect season since 1964 and produced the top-ranked rushing, scoring and total offense in the Ivy League; Princeton broke its own 2013 mark to become the highest-scoring offense in league history. Three lineman earned all-league recognition, including first-team honors for both George Attea and Reily Radosevich, and the Princeton run game averaged more than 295 yards per game, the sixth-highest total in all of FCS football. Princeton has ranked in the top 15 in the country in each of the past two years in sacks allowed, and the Tigers were in the top five in the country the past two years in fewest tackles for loss allowed. Aurich has experience coaching running backs (he oversaw the historic 2011 season from Chuck Dibilio, the first true Ivy freshman to rush for more than 1,000 yards), tight ends (during the 2013 championship season), and special teams. He also spent a year in the NFL under Greg Schiano, his former boss at Rutgers, as a defensive coaching assistant with the Tampa Bay Buccaneers during the 2012 NFL season. Aurich’s coaching career began at Concordia Academy, where he was an assistant coach for the 2006 season. He moved to Albright College, where he coached tight ends and served as assistant recruiting coordinator for two years. Aurich helped turn the Princeton program around during his playing days. After going through a 2-8 season his sophomore year, he moved to the starting lineup and led the Tigers to a 5-5 record in 2004 and a 7-3 record in 2005; the seven wins during his senior year was the most at Princeton for more than a decade. Aurich and his wife Michelle live in Princeton.